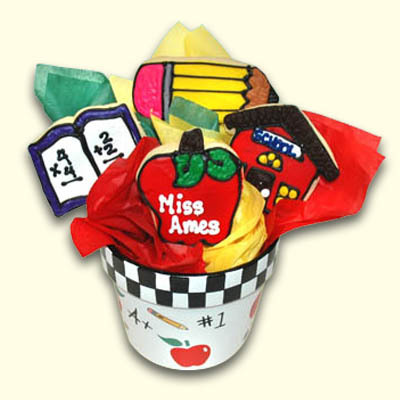 You are sure to be sent to the head of the class with this colorful school & teacher inspired cookie bouquet in a keepsake ceramic pot. You can memorialize your favorite student or student group as a cookie gift favor too. 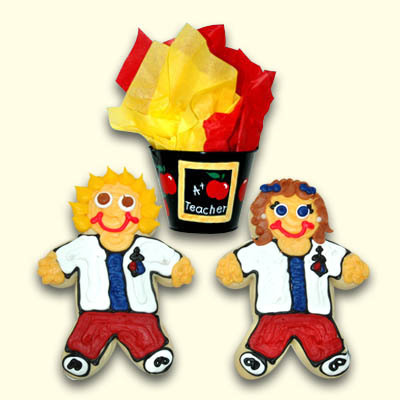 Each cookie can be individually personalized to the uniform, school color, hair color, eye color and individually wrapped. Containers may vary.